The Best Quotes for Education. Motivational Quotes, Inspirational Quotes, Education quotes, Wisdom Quotes, Knowledge Quotes, Learning quotes, College Quotes encouraging quotes, famous quotes, best quotes, positive quotes. Good is the enemy of better, and better is the enemy of best. We must say no to the good, to say YES to the BEST! 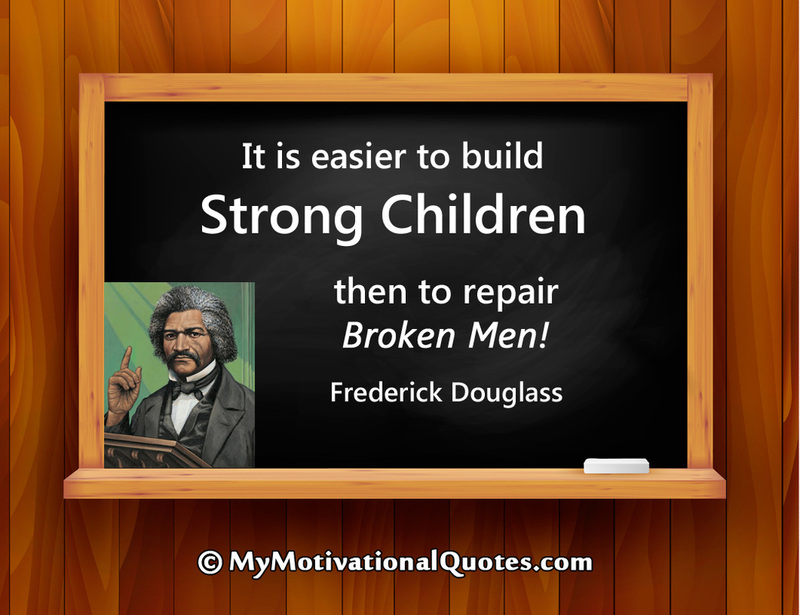 It is easier to build strong children, then to repair broken men! The #1 form of motivation changes people from the Inside-Out. Most motivation changes people from the Outside-In (which never lasts). With our thoughts, we make our world! ​If you can't control what you think, you will not be able to control what you do.